Github Repositories - Github Repositories are where you’ll work and collaborate on projects, more details refer to github.com/. Github Pages - Github Pages supply a easy way to create your personal website or project website in minutes, hosted directly from your GitHub repository, one github account or group can get one site, for example, ksoong.org, infinispan.org are all build from Github Pages, more details refer to pages.github.com. 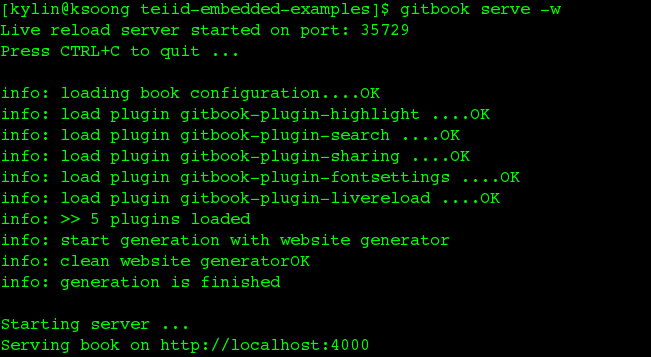 GitBook - GitBook is a modern publishing toolchain. Making both writing and collaboration easy, more details refer to gitbook.com. The following steps are use to create a project page with GitBook generated static site. A README.md file also is necessary, more details refer to help.gitbook.com. NOTE: once build success, _book folder generated which contain static site, you can view static site via http://localhost:4000/. $ git commit -m "First pages commit"
Once above steps finished, Project Pages be added to your Github Pages website with path: http(s)://<username>.github.io/<projectname>. 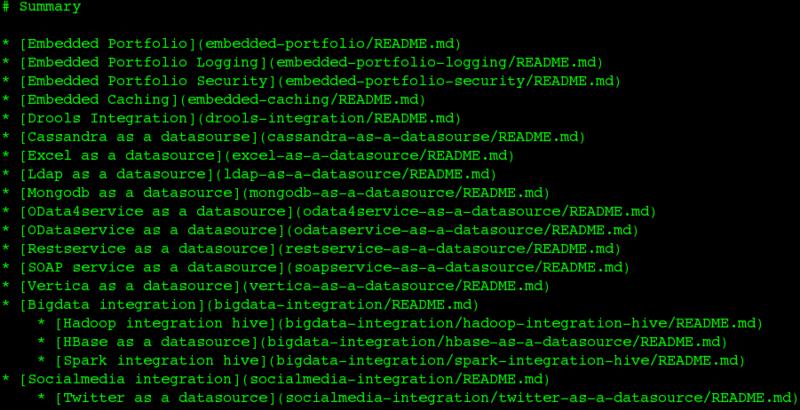 For example, access http://ksoong.org/teiid-embedded-examples/ will get kylinsoong/teiid-embedded-examples project pages. 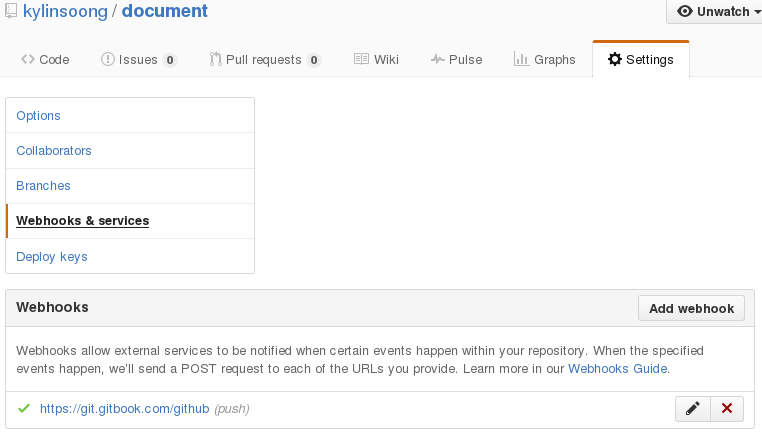 In Gitbook, each book can reference a webhook to a exist Github Repository, once the content of Github Repository be updated, Gitbook will execute a build and redeploy. The following is a example to demonstrate Webhooks. https://github.com/kylinsoong/document is a repository which hold the content of book https://teiid.gitbooks.io/document/content/index.html, note that SUMMARY.md define the chapters and README.md define introfuction page.